Today I am celebrating the birthday of someone very special to me! Happy Birthday, Sweet Girl! Knowing her special day was coming up, I just had to design a Super Special card for her! I think I hit the mark…what do you think? I’ve been on a Black & White trend lately with my designs. I love the elegance it gives to a card. Plus, Black just happens to be the favorite color of my birthday girl, so.. (yes, she’s a walking statement of elegance too!) I love adding texture to my cards…so the Sweet Soire’e Decorative Masks paired with White Embossing Paste was definitely going to add just what I wanted for this card. 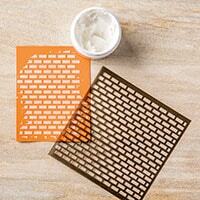 Applying Embossing Paste over the Masks is much like icing a cake! First step, you spread it over the mask just like you would to a cake. 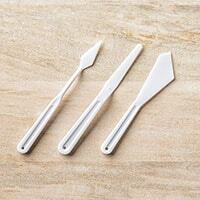 The second step is to use your palette knife to remove all the excess paste from the mask. Last step, carefully lift up the mask and admire your work! 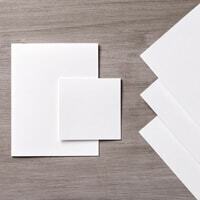 Do you think you must create every element for your cards from scratch? I don’t! I love using the embellishment kits Stampin’ Up! offers on my cards. It’s quick. It’s easy. And the Sweet Soire’e Embellishment Kit just ROCKS! It has tassels, scalloped velvet trim, tags and these awesome foiled flowers and vellum foiled leaves! All I had to do was add some Stampin’ Dimensionals behind the flowers to pop them onto my card front. I used Mini Glue Dots to add the vellum leaves. The ‘Celebrate’ sentiment was the obvious choice for the sentiment for my card. 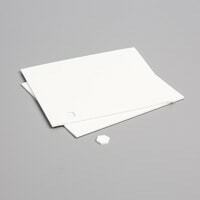 A quick 1/2″ Whisper White card stock strip, dove-tailed on one end is all I needed. 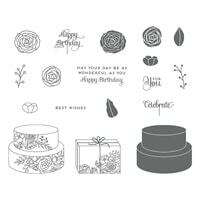 I could have used any of the sentiments from the Cake Soire’e stamp set…they all would have been perfect! As a demonstrator, I truly enjoy sharing what I love about paper crafting and Stampin’ Up! with everyone! But I know that excitement extends to my wonderful customers as well. To have friends to craft with is what makes our hobby so fun, so we share what we love with others to get them hooked too. Stampin’ Up! wants to help you in your mission, so they have come up with a suite for this very thing called “Share What You Love!” You will be seeing this beautiful new suite in the brand new catalog that goes live on June 1st. So why am I tell you this now when June 1st is a whole month away? Because we want you to Share What You Love NOW! 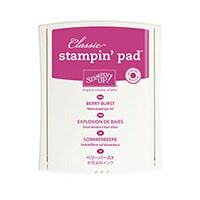 That’s right, from May1-31, Stampin’ Up! is releasing this suite to customers 1 month early for a special preorder! Do you like FREE? Take a look at these 3 bundle options! Each bundle includes 1-3 FREE Items! 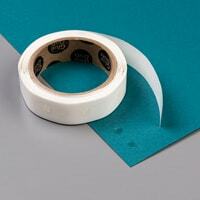 There’s something here for any & all level crafters! NOTE – these items will NOT be bundled in the 2018-2019 Annual Catalog.. they will be strictly ‘A La Cart’! Oh The Beautiful Cards You’ll Make! 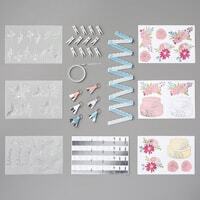 Did you see the perfect bundle that will help you Share What You Love through all the beautiful cards you’ll be making with this gorgeous suite? 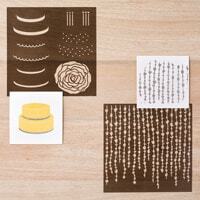 Check out these samples from Stampin’ Up! Now check out this video to see this suite in action! Get your Pre-order in today and you’ll be on your way to sharing what you love! I just wanted to pop in and let you all know why I haven’t been able to blog the last couple days…and maybe not for a few more. I had to take an urgent trip to Asheville, NC to be by my dad’s side while he’s in the hospital. I’m not sure how things are going to turn out and he and I could sure use any prayers you can send our way. Here’s a picture of me with my sweet daddy! Hope to be back with you all soon! The content in this blog is the sole responsibility of Angela Waters as an Independent Stampin' Up! demonstrator. The use of and content of classes, services or products offered is not endorsed by Stampin' Up! © 2019Angela Waters, All Rights Reserved.